You know, when you’re out with people sharing the same UNhealthy passion of eating (read : food bloggers), one solitary stop just won’t cut it. I mean, here we have people from all backgrounds, who are usually more occupied than the Prime Minister himself, schedules reserved for eating, eating and more eating (not with me though … I’m this poor, unwanted/ignored anomaly of a child. *sob). And the instant we connect and manage to gather, the ‘kiasu-ism-ness’ in us will start rearing its ugly head; indulging in series of gluttony+guilt+mindless indulgence. Ready for more senseless street food hysteria? Gear on. I was here at this small alley nicked Pudu’s Wai Sek Kai (by now, if you do not know what is a “Wai Sek Kai” … then you’re screwed. Okay, maybe you’re new, but this term is used to define a street lined with food stalls, usually selling a mixed variety of hawker fares; complementing one another rather than fighting tooth and nail with the neighbours) in the afternoon; when we went for this Hakka mee stall named Chun Kee Da Pu Mee situated right at the start of this lane off Jalan Pudu. Of course, there are contradicting views on the Hakka mee, being neither impressive or worthy of the saliva dripped on their keyboards owing to the misleading shots from this blog. But then again …. I enjoyed the Da Pu Mee experience more than any of the Hakka mee experience I have had in KL so far. And if you’re not down with that … I got two words for ya ……. Anyway, come later in the evening, and that’s when the whole street comes alive. Infused with the hodge-podge of aroma, flavours, characters and erm …creatures that lurk in the nooks and crannies, the hawker stalls still do brisk business albeit the sheer competition from various more upmarket cafes and bistros around the city. Good to see the young and the older generations mingling for a good bite come supper hours. If eating ain’t Malaysians’ favourite pastime, I do not know what it. But if you’re here for the supposedly “velvety smooth, wobbly and rich” steamed egg custard from the stall that also sells various tong sui (sweet soups), then you MUST come as early as possible. Preferably by 7pm or so. If you’re feeling extra lucky or keeping a rabbit’s tail in your Prada/Gucci, then come at 9pm. We did not keep our fingers crossed. And then the ladies apologized profusely. It was only 9pm. And they have sold off almost everything from their stall. Okay, this was on a Saturday evening, hence the hurried notion to sell off everything and catch a wink before Sunday beckons. Now we know better. Anyway, the other food selections were neither too impressive nor unorthodox. Almost directly opposite of the Hakka mee stall (which was still OPENED at that hour, minus the usually large crowd) was this fried chicken stall named Winner’s (a famous name everywhere) thronged by a perpetual line snaking to a few stalls away. Then there’s this stall serving chee cheong fun with various condiments; the one we shared was a serving with curry pig’s skin (always better when it’s exotic + sinful). The grilled cuttlefish came in two varieties; one being the dried cuttlefish that’s sure to be a hit with the beer loving crowd (but there’s no liquor here … ), and there’s the juicier, moist version in a sweet and spicy sauce that was a sticky pool of dark-coloured, fiery concoction that reminded us of ‘kung pao’ squid, only spicier. From the shot above, this covered only half of the street. Wait, maybe only 1/3. The other portions of the alley were equally congested with people joyfully forgetting their sorrow and licking their fingers from the greasy fried chicken, dripping sauces from the ‘tauhu bakar’ (grilled stuffed beancurd with julienned yambean and cucumber, then topped with a dollop of shrimp paste sauce; aka ‘he koh’ and crushed peanuts). For the MAP and such, please refer to this post. PUDU – A place where hidden up all nice food! one of my favourite wai sek kais. usually come here for tong sui after sek yuen. lol. have you tried the hakka mee there? Yes, Jasmine. I tried that for lunch that other time. Go there at 5pm. You will get the steam egg and fried chicken carcass. 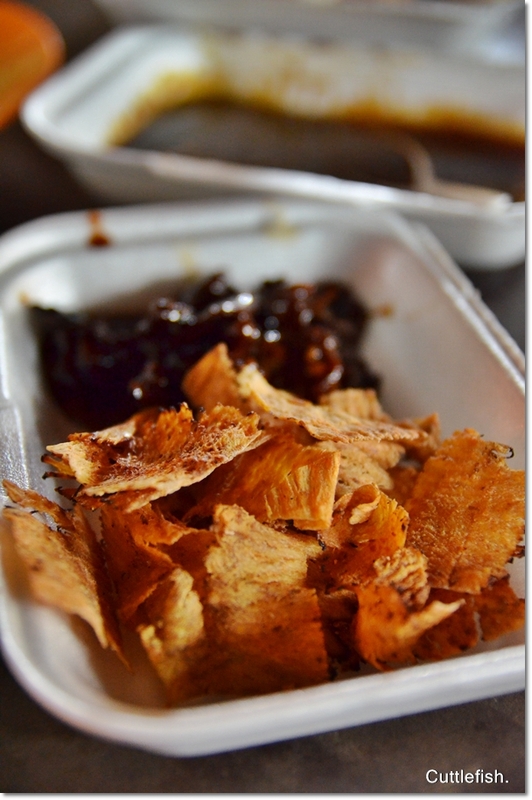 You didn’t order the fried Koay Kak [lor bak kou] ? Nope. Yeah, that stall was quite packed with people as well. The soft bones you mean? 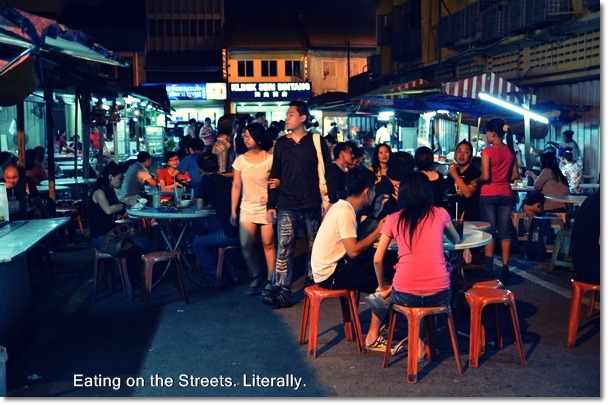 Hmm, talk about Petaling Street back lanes …. maybe should consider a run there. But I thought only during the day? 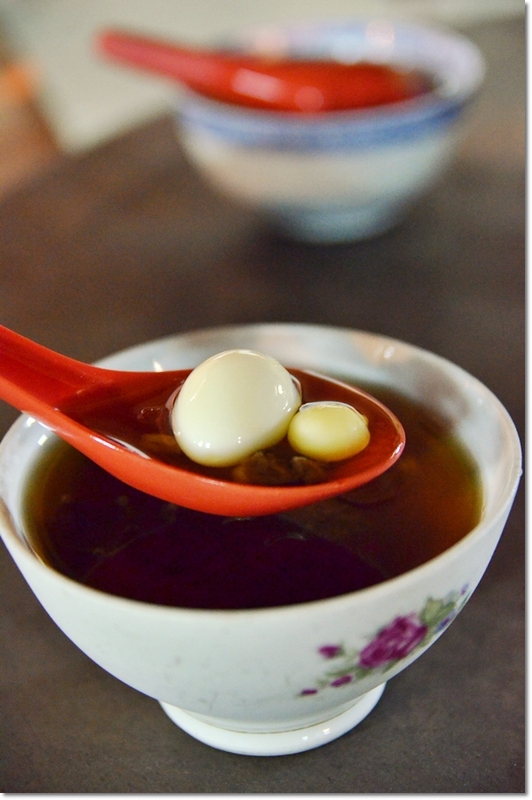 I miss the steamed egg! Must be there very early.. always finished around 8pm.. Yes, be there for the steamed eggs but do avoid the chu chap porridge stall next to it. 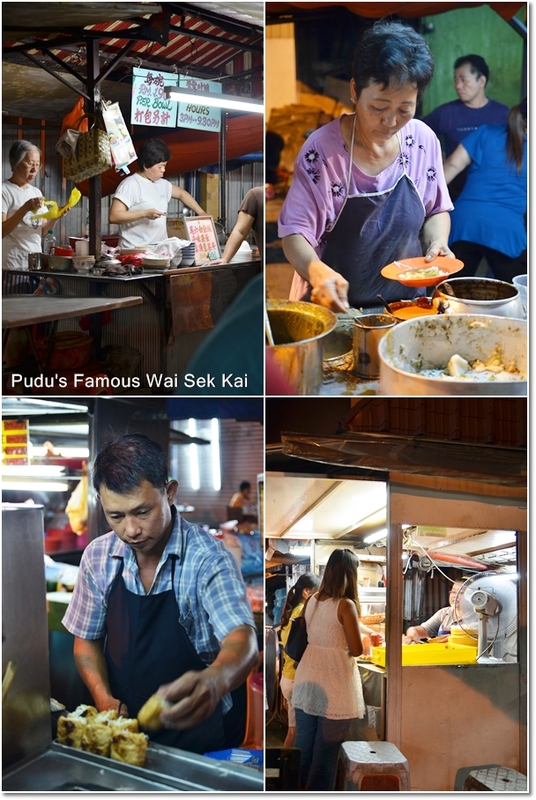 Pudu is a good place to eat if you know where to find them. 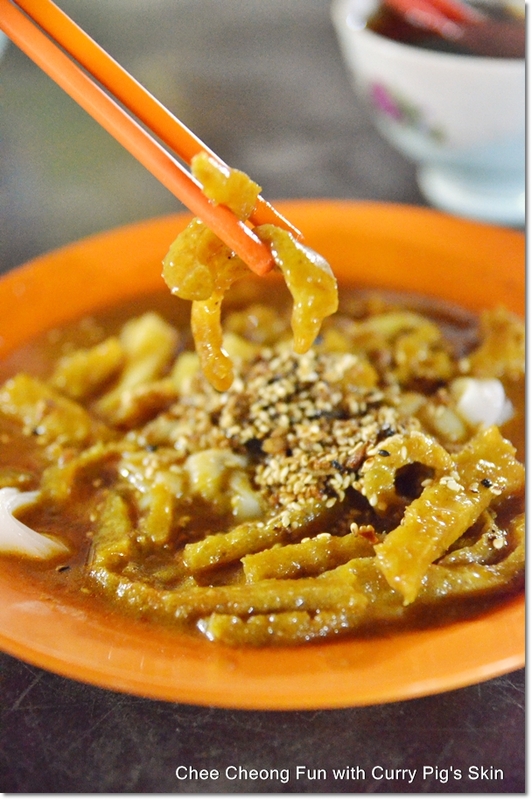 Try the famous wan tan mee stall near SRJK (C)Chung Hwa Pit Chee. There are two stalls-one outside a laundry shop and another near a fruit stall. The latter is better than the former but be prepare to wait, there is always a very large crowd. And they are off on Fridays, sometimes for months too! Opens from 7 a.m. to 3 p.m.
Then, there is a stall selling nice curry laksa by a pair of elderly couple from a makeshift coffeeshop just opposite Pudu Post Office. Open from morning until lunch time and off on Tuesday. Their curry is as good as those from Madras Lane minus the sour faces and stiff competitions. 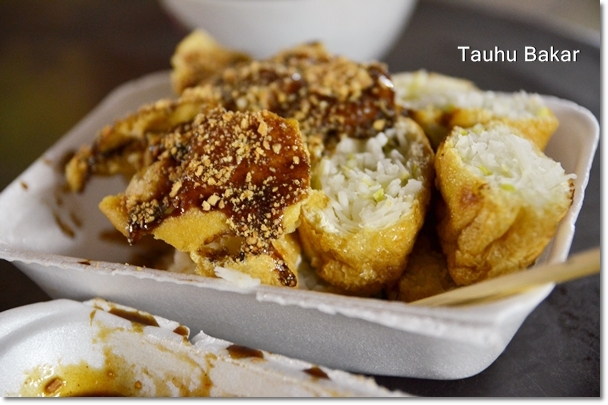 Another worthy stall is located behind the Caltex Station along Jalan Pudu. Open at night the whole week, the friendly lady and her son sells noodles with Foochow fish balls and fried chu chuk. They comes in soup or dry version. Ever since that place was featured in “Taste with Jason” on tv, all the sellers became sombong. Some stalls even don’t let you sit at their chairs and tables unless you order food from their stall. Oh true. We had to ask before seated, as they set territories. The usual ugly Malaysian attitude! That’s why I normally try NOT to patronise those places made famous by TV celebrities! Sometimes trying out unfamiliar territories may bring surprises & friendly services. Yeah .. true. But unfamiliar territories in KL are very much unfamiliar to this lost soul from Ipoh too. DROP BY HERE & LIKE US ON FACEBOOK! Wai sek Kai has always been territorial-I first went there more than 40 years ago ( yes I m a local frm ‘pun San pa’ ) the best dish then was the mix pork porridge. And makes you wonder whether the same mix pork porridge is still being served, no? my site – lv ?? ???? ???? ?